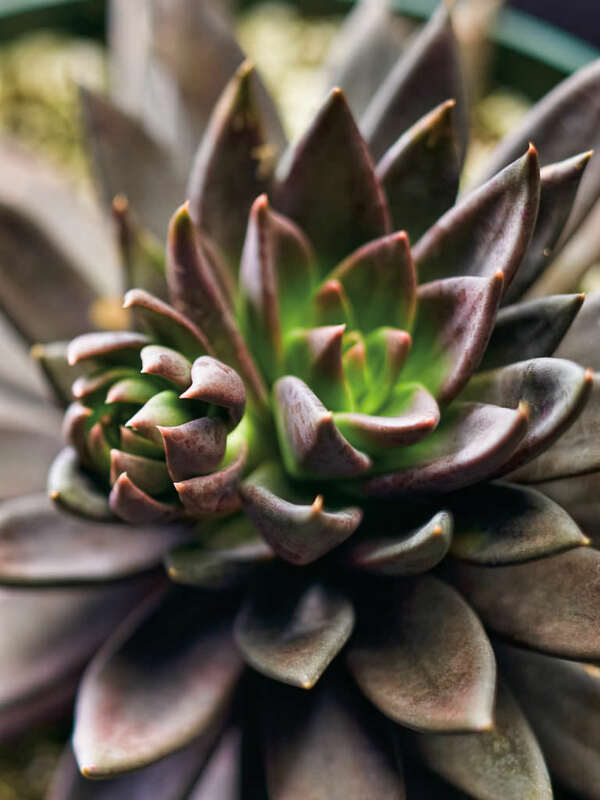 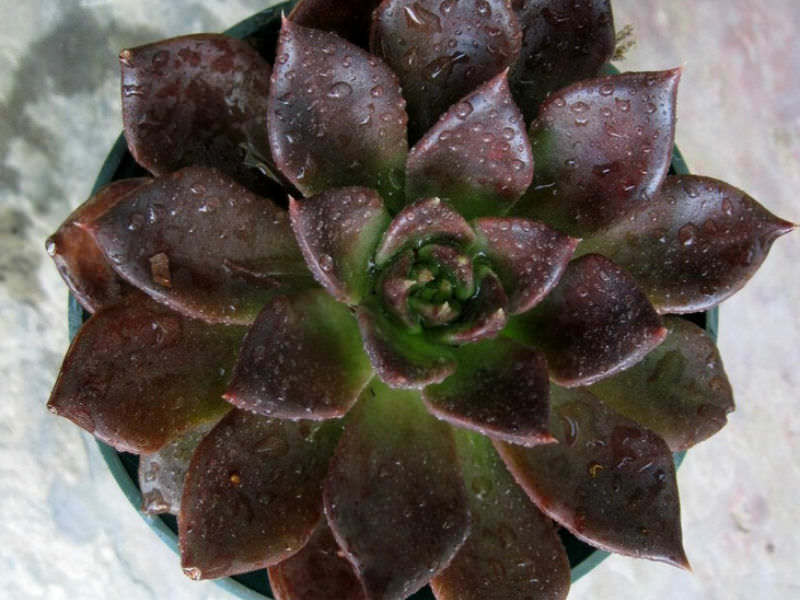 Echeveria ‘Black Prince’ is a slow and low growing succulent plant. 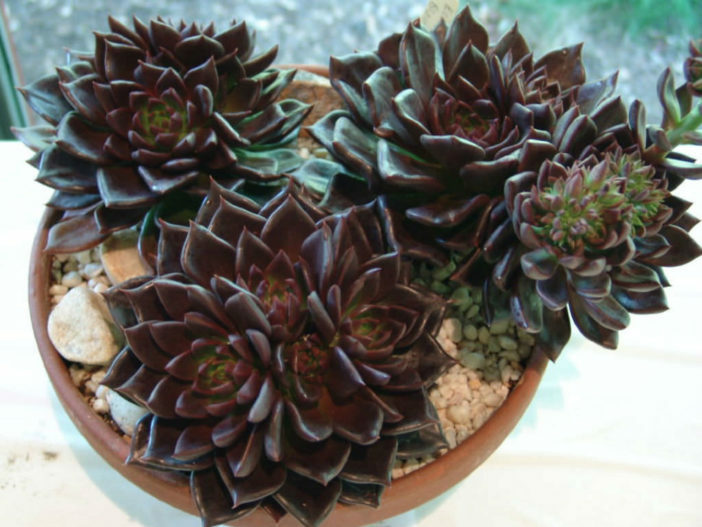 It produces clumps of short rosettes up to 3 inches (7.5 cm) wide with thin dark triangular, blackish leaves. 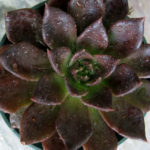 These leaves first emerge greenish but darken to a deep lavender brown and with age the lower leaves widen out to as much as 1 inch (2.5 cm) at the base with an acuminate tip that has fine, yellow edges. 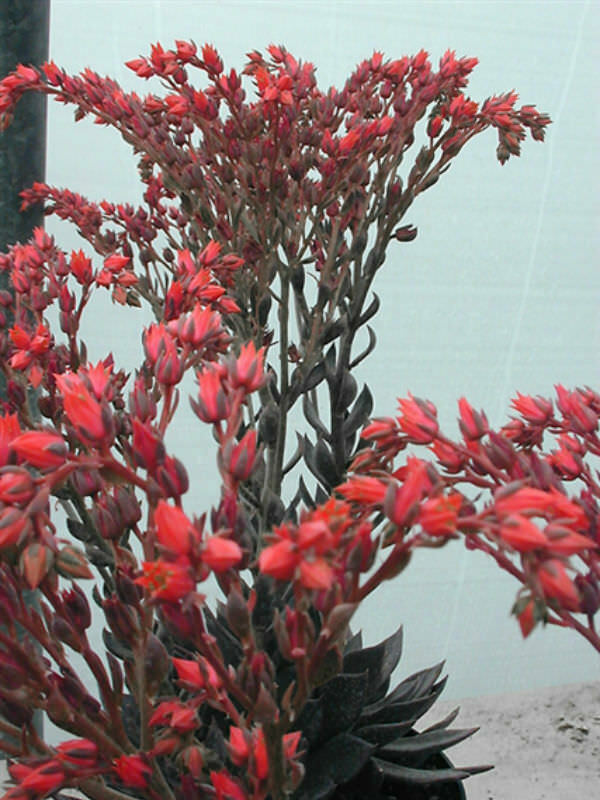 The dark red flowers appear on short stalks in late fall to early winter. 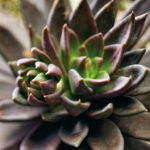 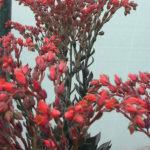 Echeveria ‘Black Prince’ is a hybrid between Echeveria shaviana (seed parent) with Echeveria affinis (pollen parent).